(武 術 內 外 功 總 滙), from the Taoist Canon, Jing Hua Section. 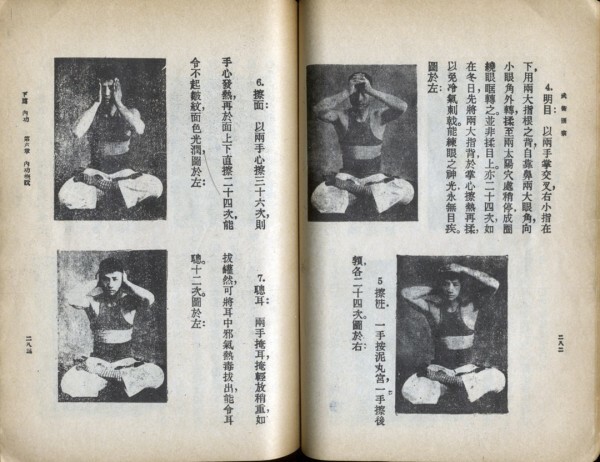 Two-volume set. 500+ pages. Numerous photographs. 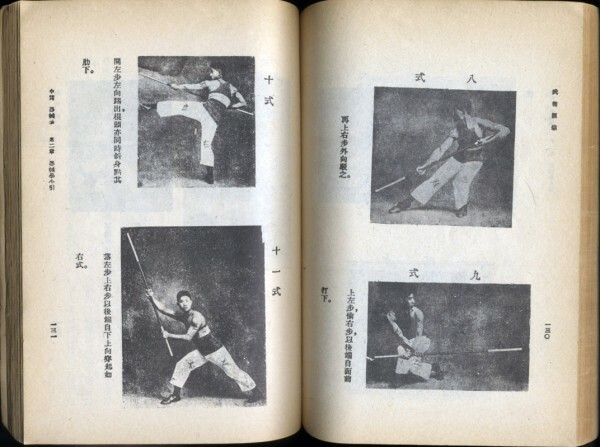 Original Chinese edition. 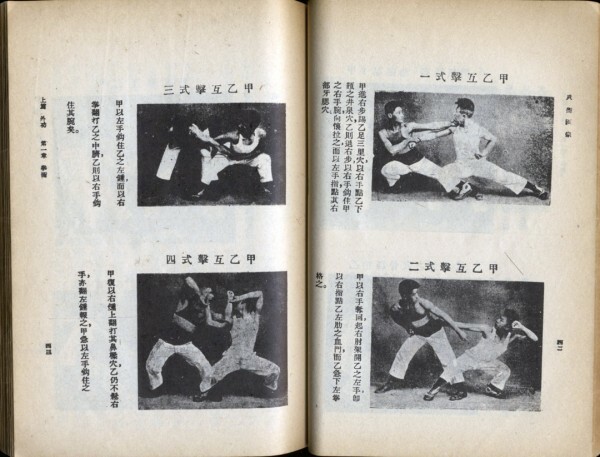 These two volumes are really incredible, showing kung fu training exercises, forms, and internal kungfu training procedures. 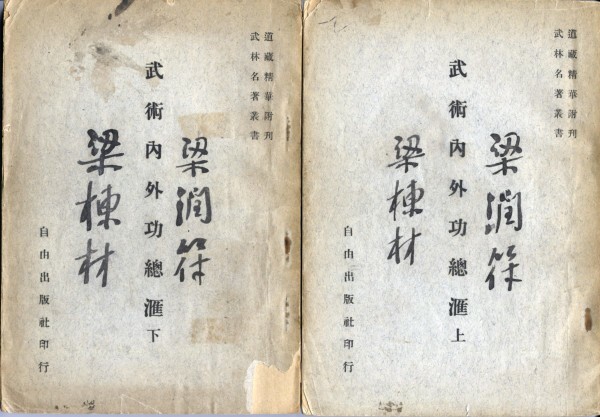 Master Liang wrote his names (Liang Dongcai, 梁棟材 and Liang Runfu, 梁潤符) on the covers. This was one of his favorite books and he trained much of what is contained in them. Starting bids of $800 for both volumes. If you are interested in acquiring these books, please contact us.